Manatees at the Manatee Center in Fort Pierce. “Ooooo, look!” That’s the sound of a visitor to the Manatee Observation and Education Center spotting a manatee in the waters of Moore’s Creek. Visitors from all over the United States and from other countries come to gaze upon the wild creatures moving slowly beneath the surface. The center features a long outdoor deck at the back of the building. There, visitors can peer down into the water looking for the large air-breathing creatures, sometimes called “sea cows” for their habit of grazing on sea grasses beneath the water. Fortunately, for the humans who love to watch them, 300 to 400 manatees congregate there each year, even though the power plant that used to send its warm water to the creek is gone. In the winter, manatees congregate where there is warmer water. 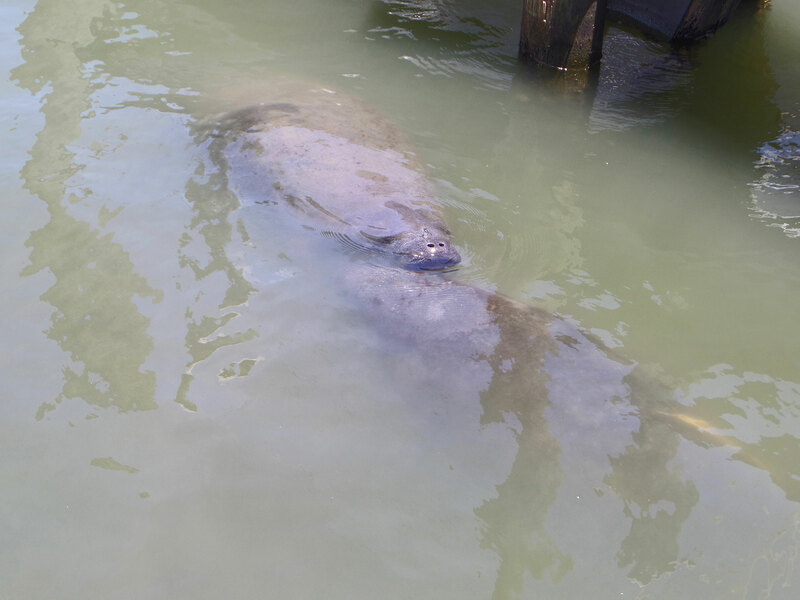 Lucky visitors can sometimes spot a mother manatee and its calf. Inside the center, visitors can learn much more about the manatees and other creatures. There are five aquariums, a touch tank, and a second-story observation tower. Visitors can take part in a variety of programs, including learning how seahorses survive with no stomach. There are four staff members and 150 volunteers who enjoy meeting and working with visitors to the center. “I’m very proud because we really are for and from the community,” center manager Rachel Tennant says. "The center is very informative and offers a lot for the small admission price of $1. Guests can experience manatee sightings, live fish feedings, and species in the touch tank, among other things." 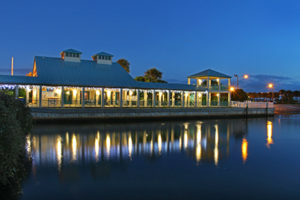 "The Manatee Center has been part of the downtown experience for over 20 years. Besides the hundreds of cute manatees that visit Moore’s Creek every year, the center has fun and educational exhibits that appeal to locals and out-of-towners."